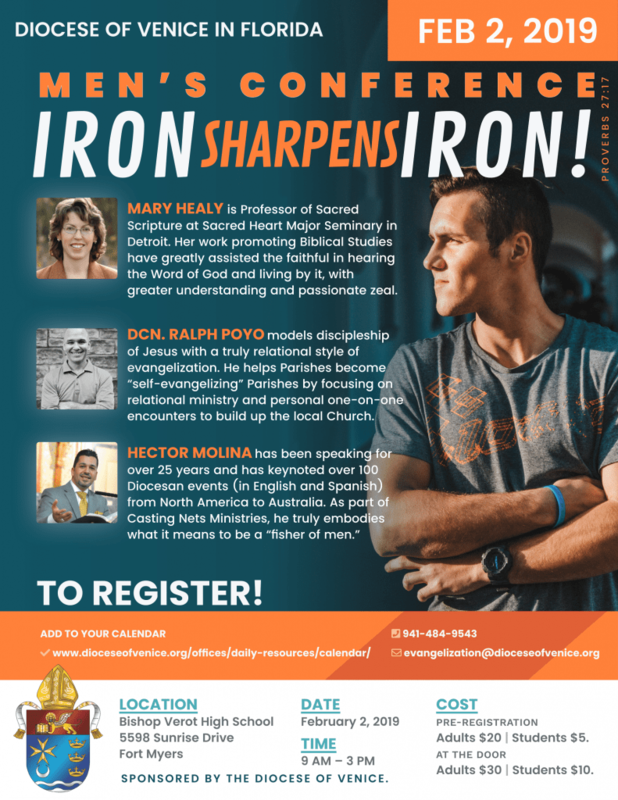 Join us for this year’s annual Diocesan Men’s Conference with a great new addition: we are having a BurgerFest! Iron Sharpens Iron! Come to Bishop Verot for a day of spiritual enrichment, masculine fellowship, prayer, and food! There will be three dynamic speakers and an outdoor Burger Festival where you can enjoy a variety of food from the grill!